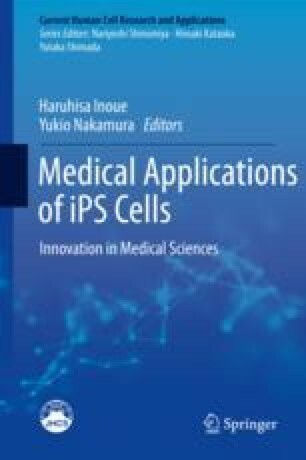 The ability to generate patient-specific, induced pluripotent stem cells (iPSCs) together with the advent of gene-editing technologies has opened up a realm of opportunities for disease modeling, gene correction, and regenerative medicine applications aimed at better understanding and treating hematological disorders. The widespread use of reprogramming and gene-editing techniques has resulted in fine-tuning of these technologies to the point where they are an integral part of molecular biology research toolkits. The challenge remaining at this point is to achieve efficient and robust differentiation of pluripotent stem cells (PSCs) toward blood cells that resemble their in vivo counterparts. Here we provide an overview of our current understanding of in vivo hematopoietic development and how that has been used as a roadmap to guide in vitro hematopoietic development. We discuss recent advances and limitations encountered when recapitulating hematopoietic development in vitro. Finally, we highlight examples of how patient-specific iPSCs have been successfully used for the modeling of hematological disorders and how they have played a prominent role in uncovering pharmacologically targetable disease mechanisms. Leung A, et al. Notch and aryl hydrocarbon receptor signaling impact definitive hematopoiesis from human pluripotent stem cells. Stem Cells. 2018;36(7):1004–1019. https://doi.org/10.1002/stem.2822. Epub 2018 Apr 1.